Belgian manufacturer Manutti recently released several new designs for 2013, which we loved (& duly blogged about), but their most popular is still the ground breaking Zendo range, which we introduced to London at the Chelsea Flower Show in 2010. 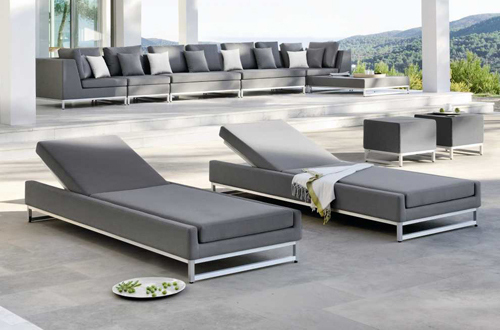 With ultra modern, clean lines & anodised aluminium bases Zendo was a revolutionary new syle of contemporary garden furniture – it looked like it belonged indoors yet was fully waterproof & weatherproof! 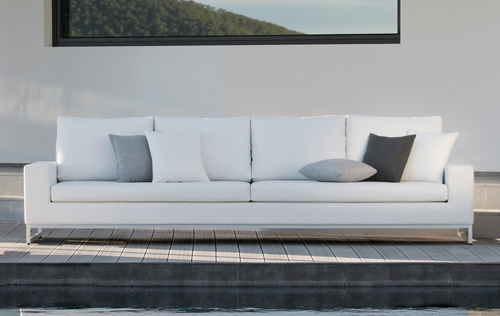 The collection includes seating & a sunlounger & although, like all of Manutti’s outdoor furniture it’s not cheap it’s been our most popular ever collection. The Manutti Zendo armchair in white Nautic leather. Great if you haven’t quite got space for the Zendo sofa, or just prefer relaxing in an armchair to a sofa. £1770 inc VAT. 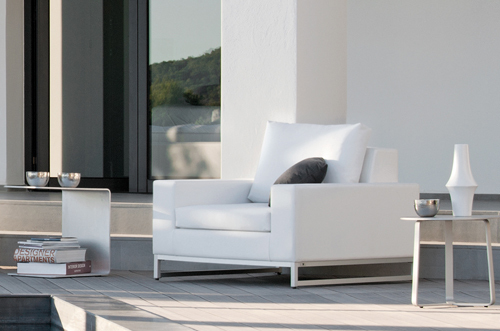 We love good quality contemporary furniture, & as far as garden furniture goes this is pretty much the top of the market, & if you are looking for similar pieces to match (dining chairs etc) take a look at the Manutti Liner range. Many of Manutti’s garden tables have anodised aluminium legs too, to match the Zendo/Liner bases. See our whole Manutti collection here, or on Archello. Next PostNext When is Italian furniture not Italian?